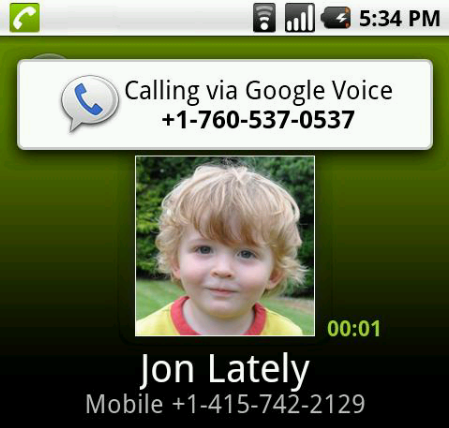 Update: The Google Voice team has announced this feature. Full write-up here. Die-hard users of Google Voice have long yearned for some MMS support. Things may be looking bright on the horizon as Google Voice is now starting to send notifications of incoming MMS messages through your email inbox. You won’t be receiving the message itself, but if you forwarding your texts to your email account, then you’ll receive an email notification of the message. That’s a step in the right direction. Unfortunately this newest development only seems to be working on non-Verizon carriers at the moment, but we are hoping it makes its way to Big Red shortly. Kellex is the biggest user of G-Voice I know, so as soon as this feature hits Verizon, trust me when I say Droid Life readers will know first.